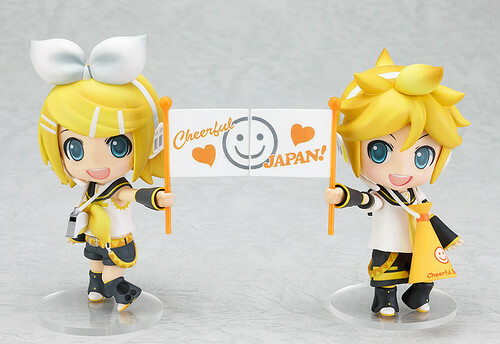 After getting previewed by Mikatan yesterday, the Vocaloid twin – Nendoroid Kagamine Rin and Len Cheerful version are available for pre-order starting today for both Japan and international order. Each of them will be priced at 3000 Yen, and 1000 Yen from each sales will go into donation. This entry was posted in News and tagged cheerful japan, kagamine len, kagamine rin, nendoroid, pray4japan, support, vocaloid.